The untold stories behind the world’s most interesting people. The most successful people aren't defined by what makes them similar, but rather by what makes them different. 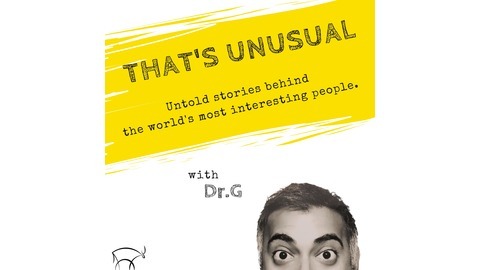 That’s Unusual reveals the untold secrets, habits and tips from the world’s greatest minds, inventors, innovators, and influencers that makes them stand out from a world of averages. Apply these ideas to your life and explore what’s possible. 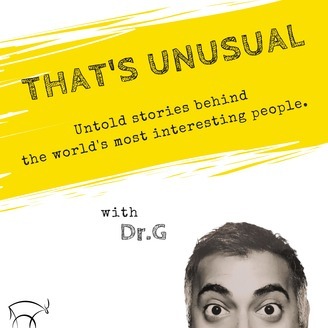 Learn more and sign up for our newsletter at www.thatsunusualpodcast.com. Almost two decades ago, Michael O’Neil lay on a hospital bed awaiting chemotherapy having just recently been informed he was diagnosed with non-Hodgkins lymphoma. He had more questions than he had answers, and had no where to turn at the bedside to get informed and be engaged. That was the genesis for his rapidly growing and global company called Get Well Network - designed to educate, inform, and engage the patient throughout the course of their medical management. At a time when Google was just an infant, Facebook had not been conceived, and smart phones were just a futuristic vision…Michael charted into unknown territory and not only beat the odds in defeating his cancer, but also grew Get Well Network into a behemoth of company busting through walls as a pioneer in the patient engagement space. On this episode, Michael shares it all...from how his experience of being diagnosed with cancer prompted the idea for Get Well Network, to the hurdles he had to overcome along the way, to where he believes the market has evolved over the past 20 years. All this and more on today’s episode.